The Robert Sorby 410 Sandmaster is an extremely handy addition to any turners armoury. The 410 Sandmaster is used in conjunction with a lathe to put a fine finish on turned pieces. 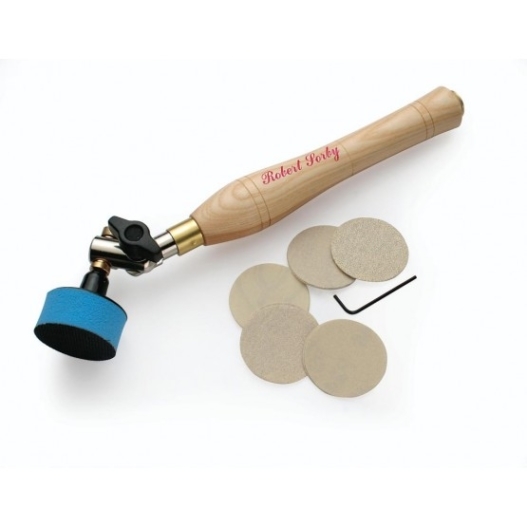 It eliminates the unsightly lines often associated with traditional hand sanding. As the disc is spinning it also reduces the clogging of the abrasive. 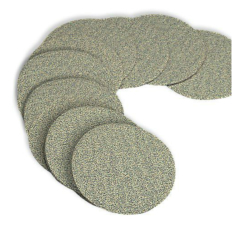 The Sandmaster comes complete with a velcro-covered 2” sponge pad which allows for easy changing of abrasive discs. A variety of grits can then be quickly attached. The adjustable head which runs on a durable phosphor bronze bushing also lets the turner reach even the more inaccessible spots. 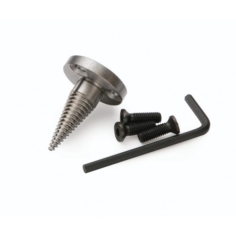 As an optional extra a 3” head and discs can also be easily fitted for greater efficiency. The Sandmaster becomes an even more versatile tool when the head is removed and replaced by a pigtail mandrel and goblet bowl mop. Made of fine grain cotton these mops are an ideal medium for buffing waxes and other finishes.